The High Court (HC) on Wednesday granted bail for six months to Barrister Mainul Hosein, former Advisor to the Caretaker Government, in two defamation cases filed in Rangpur and Jamalpur. The court also stayed the trial proceedings of the cases for six months. The High Court Bench of Justice Md Rezaul Haque and Justice Zafar Ahmed passed the order after hearing two separate bail petitions filed by Barrister Mainul Hosein challenging the case proceedings against him. 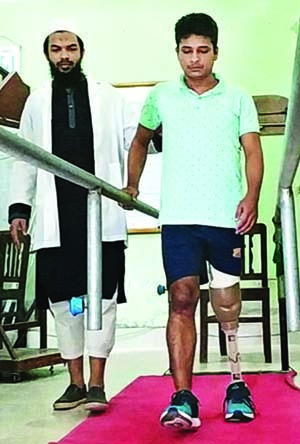 Barrister Mainul, however, was not yet released from jail, as he is shown arrested in other cases, his lawyer Advocate Khandker Mahbub Hossain told The New Nation. Â defamatory case for the said statement made by the accused addressing Masuda Bhatti." The lawyer placed different decisions of the apex court in the matter, including a recent decision of the High Court Division. After hearing the counsels, the HC issued a rule upon the respondents to show cause as to why the impugned proceedings against Barrister Mainul Hosein should not be quashed and pending hearing of the rule stay further proceedings of the cases and also granted bail for six months to the accused. The cases were filed after Mainul Hosein made an 'unwanted comment' about Masuda Bhatti, a journalist, at a television talk show programme in October this year. A woman, Mili Maya Begum, on October 22, 2018, filed a defamation case in the Chief Metropolitan Magistrate Court of Rangpur against Mainul Hosein on charge of passing 'malicious comment' about a woman on a television talk show. Earlier, on October 21, 2018, Convener of Jamalpur Jubo Mohila League Farzana Yasmin Lita filed a defamatory case with the permission of a local court. 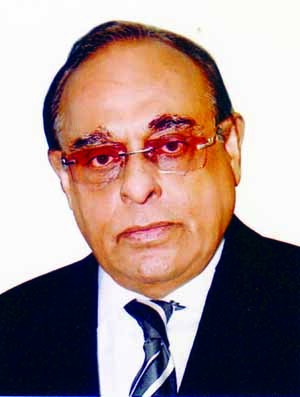 Senior Judicial Magistrate Soleiman Kabir took the case into cognizance and also issued arrest warrant against Barrister Mainul in the Tk 20,000-crore defamation case. 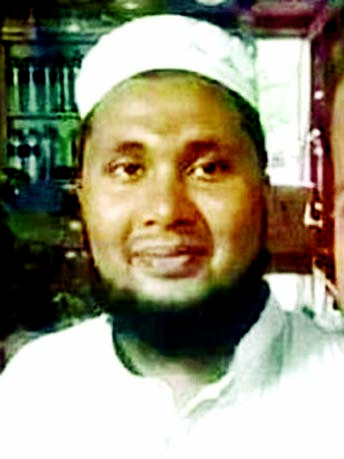 A team of Detective Branch (DB) of police on October 22 arrested Barrister Mainul Hosein from Dhaka in the case filed in Rangpur Court. The said court on November 4 rejected a bail petition filed by Barrister Mainul Hosein in the case. Then he moved his bail plea in the High Court. In addition, on October 21, 2018, the HC Bench of Justice Muhammad Abdul Hafiz and Justice Mohi Uddin Shamim granted anticipatory bail for five months in the case filed with Jamalpur Court. Khandker Mahbub Hossain appeared in the court on behalf of Barrister Mainul Hosein. Advocate Bipul Bagmar, Advocate Abdur Rahim, Advocate Shishir Monir, Advocate Masud Rana, Advocate A K Khan Uzzal were also present in the court during the hearing. On October 16, Mainul Hosein was connected to a Talk Show programme, 'Ekattorer Journal', through a video conference aired on a private TV channel, Ekattor TV, hosted by Mithila Farzana, and made an 'offensive comments' against Masuda Bhatti. During the talk show, Masuda Bhatti told Mainul Hosein, "You say that you are with the Jatiya Oikya Front as a citizen of the country, but in social networking sites, many people are saying that you are there as a representative of Jamaat-e-Islami." Angered by the comment, Mainul Hosein said, "I'm thanking you for your audacity and I want to believe you as 'characterless'. There's no question about Jamaat link's with me and what question you have asked is embarrassing for me." After such comments, there was a storm of criticism in the social media. At least 22 cases have been filed so far in different parts of the country against Barrister Mainul Hosein on the charge of using indecent language against journalist Masuda Bhatti on a live television talk show on October 16.